Oftentimes, when an employee is planning to transfer to a new company, they ask their former employers or someone close to them for a reference letter from their employers in order to back up their job applications. 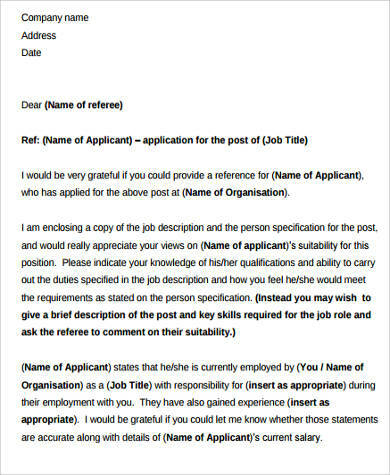 If you have been given the task to write a reference letter, you need to customize the letter according to the job that the job candidate is applying for. Finding the right words for the letter is crucial as it may either be the key to a great future career for the candidate or maybe the other way around. 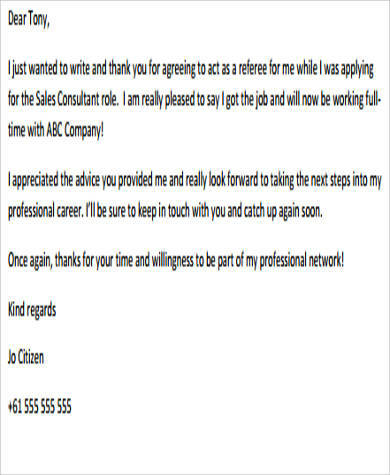 This article features 8+ Sample Letters that will help you when it the time comes where there is a need for you to write a job reference letter. These will serve as excellent guidelines for when you are having a hard time drafting one from scratch. 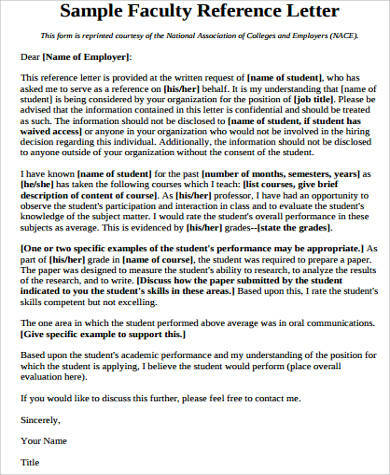 Writing a job reference letter might seem like a chore and might be quite daunting. You need to be careful about how you should write as the choice of words highly matters. Here are a few things you can follow if you are tasked to write one. Check out the job description for the job he/she has applied for. Incorporate a few keywords that seem vital for the role. This can help increase the chances of the candidate to be picked. State factual settings where the candidate has displayed his strengths. It will be better if you quantify the success of the candidate. Emphasize the candidate’s strong point and showcase that he/she will be a good addition to the company if they choose her for the position. Never forget to leave your contact information such as your mobile number and e-mail address to make it easier for them to get in touch with you should they have further questions. If there are any guidelines when it comes to submitting these letters, you should make sure that you follow it. 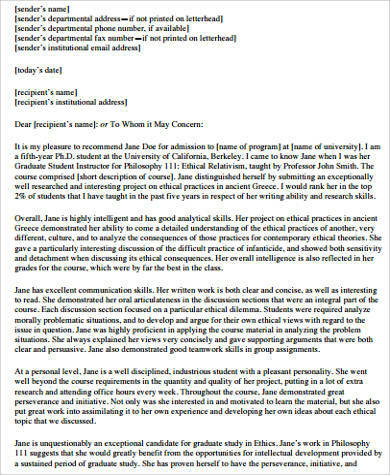 Why Use Sample Job Reference Letters? It can help give you an idea of how you should write one. 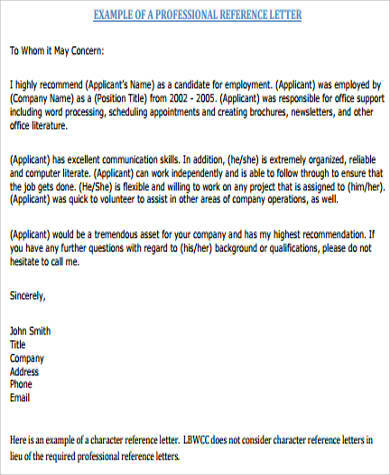 These samples are designed to have the correct format for the reference letter that you can follow for your own letter. These sample letters can be customized to fit the character’s strengths and qualifications, which make it very convenient. 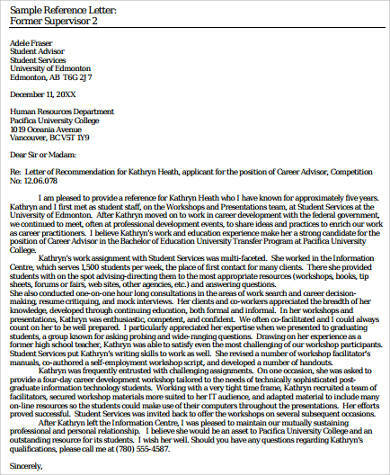 Being asked to write a reference letter can both be flattering, yet it can also bring so much pressure. Only accept to write one if you are confident enough that you have the capability to write one. If in any case you think that you cannot write one because you might have a hard time doing so, you can politely ask the candidate to have someone else do it. 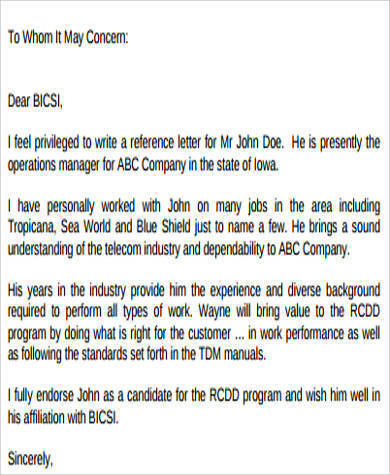 Always imagine that you are the employer reading the reference letter you made. Then ask yourself if it fits the job description or does it sound like the employee deserves to be invited for an interview. If you are unsure, you may have someone else proofread it and tell you their thoughts. The main goal is to make sure that the employer will be able to have a brief yet positive idea about the candidate through your reference letter. 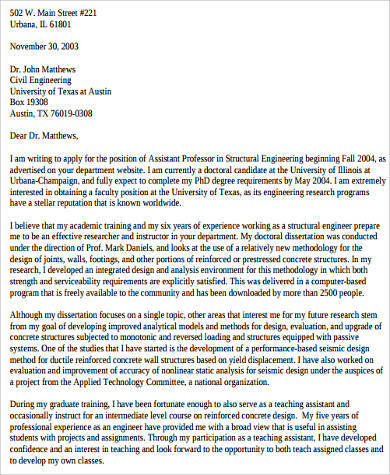 You may also see Sample Character Reference Letters.